Once you’ve experienced the exquisite luxury and softness of bamboo… plain old cotton just won’t feel the same. I am honored to include Cariloha in my 2012 Christmas Gift Guide and I have some terrific gift ideas certain to bring joy and delight this Holiday Season. Throw Blankets are perfect for everyone on your list. From grandma to your child away at college, to the newlyweds just settling into their new home and even babies first Christmas. Cariloha offers two luxurious Bamboo Throw Blankets. One is a beautiful silver-blue and one a gorgeous taupe. These dreamy throw blankets are absolutely perfect for snuggling up on a cold day or for just cuddling up with your loved one year round. I’ve owned many throw blankets over the years and this throw blanket surpasses them all. I love the blissful softness of the plush-pile fabric and how the breathable bamboo helps to keep me perfectly warm and not too hot. At 50″ x 70″ the size is fantastic and just perfect for snuggling up with my sweetheart. I do have to fight the cats for it, but the good news is that it’s large enough for all of us to share. I truly believe that this is a gift you or those you care about will love and cherish for years to come. Another fabulous gift that everyone on your Christmas List will love is Cariloha’s Bamboo Towels. These quality bath towels come in your choice of Blue, Chocolate, Mint Green, Taupe and White. Each set includes a Bath Towel, Hand Towel and Washcloth. Jacquard patterning adds a gorgeous, stylish touch to these luxurious towels. These fabulous towels feature a special technology called Soflex® which ensures superior softness, durability and absorbency. This means your towel will remain lighter and fluffier than any other fabrics of similar thickness. My husband and I were blessed immensely to have a beautiful wedding at a luxurious six star resort in the Riviera Maya. They offered lavish accommodations with the finest amenities including a spa which provided us with the softest towels we had ever used. I bring this up because not only are the Cariloha towels comparable to the exquisite softness of these towels from one of the finest resorts, they are superior! I can tell you that you will love the feel of bamboo on your skin as much as we do! Plus, at only $69 a set they are very reasonably priced for this kind of luxury. In addition to the perfect Christmas present, please keep these beautiful towels in mind for bridal showers and wedding gifts, too. For the men in your life, Cariloha offers a great selection of T-Shirts, Polos and Button Shirts. I selected this gorgeous Bamboo Slub Polo in Blue for my Husband. He looks so handsome in this three-button collared shirt. Sometimes his job forces him to be outside in the hot sun and he loves that his bamboo shirt keeps him cool. He would wear this polo every day if he could. He loves how soft it is and prefers this over any of his other polo shirts. I love the blue hue and the textured pattern on him, it really looks expensive – yet is currently on sale for only $42! Show the men you love how soft and luxurious bamboo can be this Holiday Season. Cariloha has an amazing selection of bamboo attire for ladies. I selected this fabulous Bamboo Crew Tee with Wrap Dots in Black for my teen daughter so she could experience the same luxurious softness I’ve had the pleasure of enjoying. She fell in love with the style before she even felt of it. Then she couldn’t believe how soft it was and couldn’t wait to wear it. She immediately took off what she had on and changed shirts. Now she is just as spoiled as I am and wants to wear only bamboo. I just noticed that this very shirt is on sale for a tiny price of $10!!! Seriously, run to Cariloha and grab one of these for every female on your Christmas List. Not only is this bamboo fabric antibacterial, its 3 degrees cooler than cotton and wicks moisture away from your body making it perfect for working out or just hanging out. Plus, Cariloha offers a 100% guaranteed satisfaction for quality, durability and supreme SOFTNESS, or your money back. Receiving new socks are a Christmas tradition in many families and Cariloha is your source for the softest socks on the planet. Bamboo genuinely provides the perfect material for making socks. These awesome socks are breathable and wick away moisture keeping your feet cool and providing a comfortable dry wear. I love that these socks resist odor keeping your feet smelling fresh all day! The extra padding at the foot and heel make them even extra comfortable. My husband and I couldn’t be more in love with our Cariloha socks for Women and Cariloha Socks for Men. 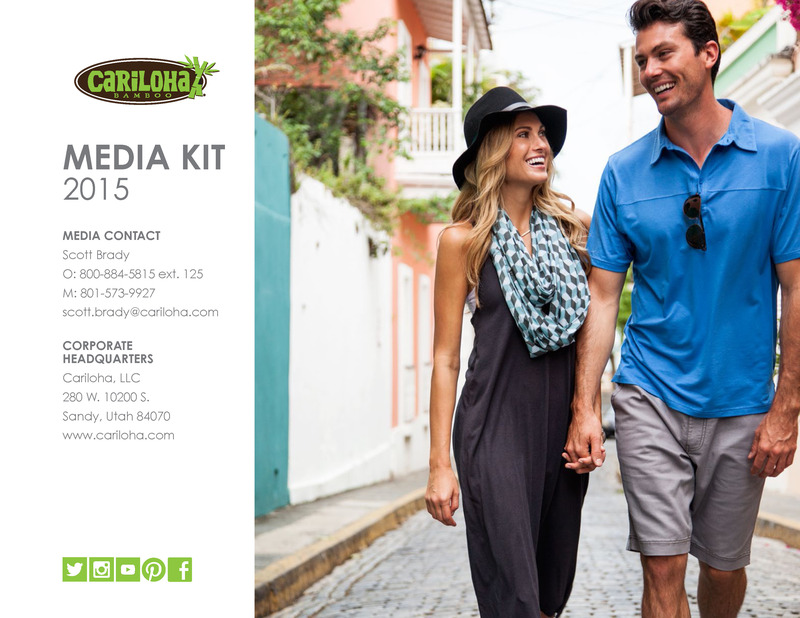 Cariloha is your one stop Holiday Shop. They are certain to have the perfect gift for everyone on your list. I would like to thank Cariloha for being so generous and allowing me to include some of the finest, most luxurious bamboo items available in my 2012 Christmas Gift Guide.